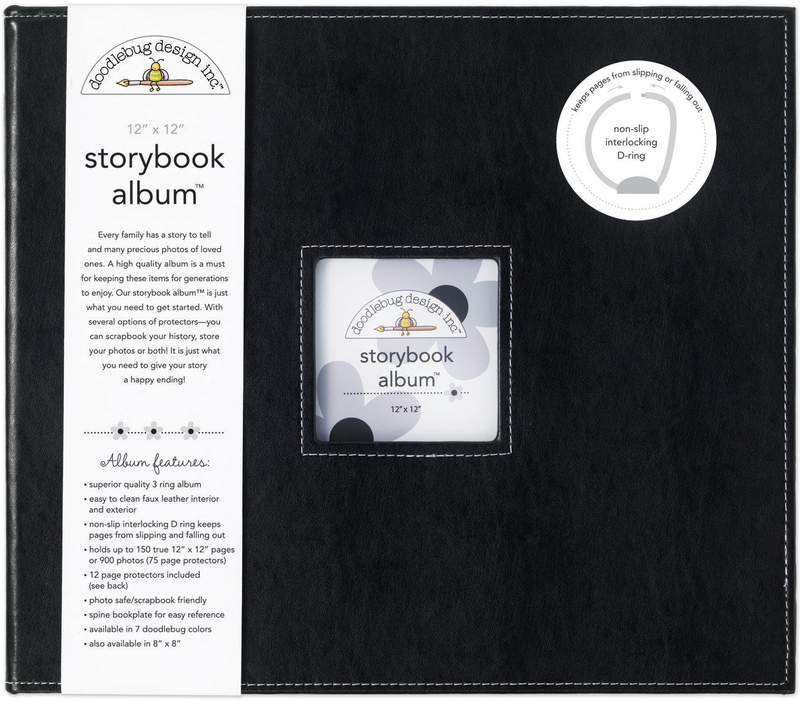 DOODLEBUG-Storybook Album. This package contains one 3-ring album with a 3-1/2x3-1/2in photo window in the front cover and 12 page protectors (ten true 12x12 inch pockets, one photo-recipe card protector with 6 pockets and one combo protector with 4 pockets). Albums are available in a variety of designs. Albums measure 13x15x3 inches. Imported.